One of the many insights you gain in creating your own work is respecting the high bar set by others. For this series of Symmetree Tripomatic’s I reference and indulge in the colour associated with artists who have helped set that bar. Since the day we began making marks on walls, artists have created works with the colour palette available to them at the time. It’s through new technology that colours are created and it wasn’t until the 20th century that many of the colours that we see reproduced around us became available. Yves Klein is perhaps best known for his works with ultramarine blue. In the latter half of the 1950’s he developed a method of mixing the raw pigment with a polymer enabling him to patent the mix as International Klein Blue. It became a significant part of his work within his series ‘Blue Revolution’. Klein experimented by coating both canvas and three dimensional objects in multiple layers of often heavily textured pigment. 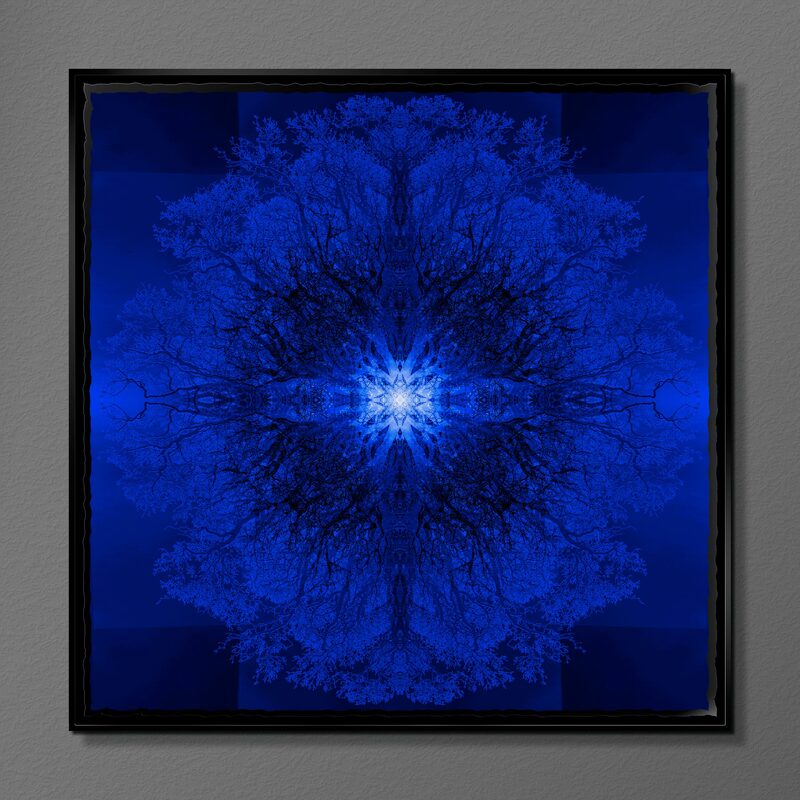 Reproducing the intensity of Klein Blue in a Symmetree Tripomatic is my homage to his legacy and creativity. Symmetree Tripomatic Klein is framed and set in resin. Available through the Beumee Contemporary Fine Art gallery in Tunbridge Wells.